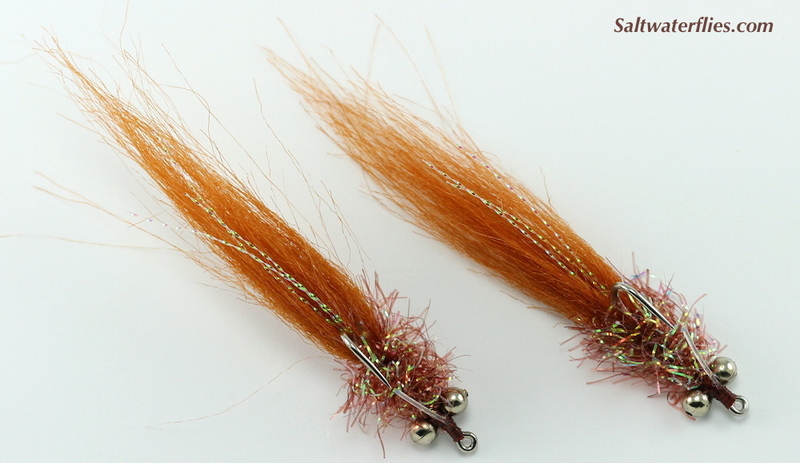 The Flash Minnow is a simple, effective fly, and easily one of those "top 10" kinds of patterns that make it into our boxes for just about every saltwater trip we take. 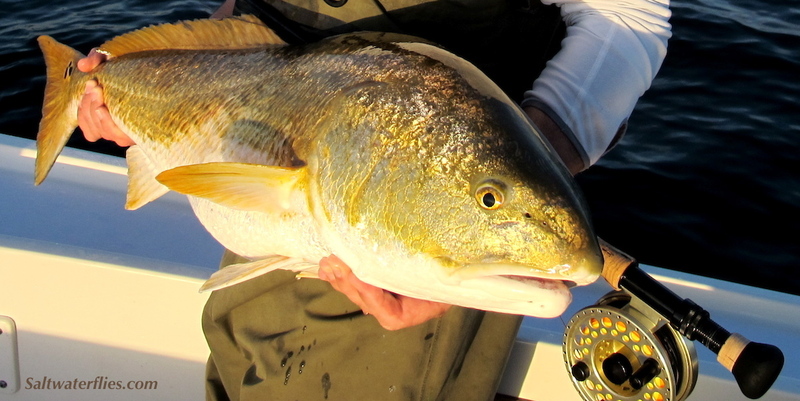 Snook, tarpon, redfish, bonefish, striped bass, seatrout - all of these species and more have been taken on the Flash Minnow style over the years. This is such a classic pattern, with soft tail materials for great breathing action in the water, and bright body to catch the attention of active gamefish. Lightly weighted with bead chain eyes and just great for fishing in shallow water, mangrove, marshes or backcountry; includes a single monofilament weedguard which is easily clipped off for fishing open-water areas if necessary. 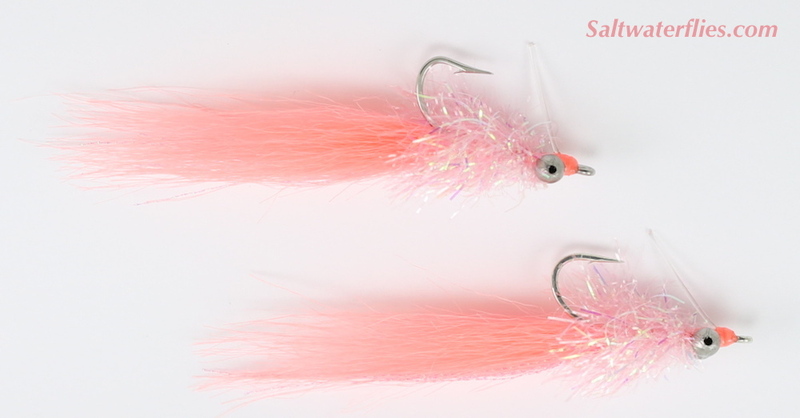 The Flash Minnow is very sweetly tied by Taylor Topliffe. This #2 fly is approximately 3 1/2 inches long (9 cm). 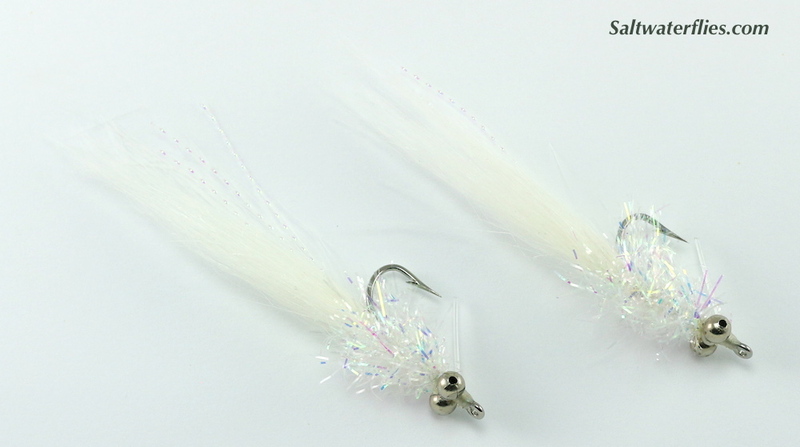 Similar flies: Crystal Critter, Crystal Minnow.